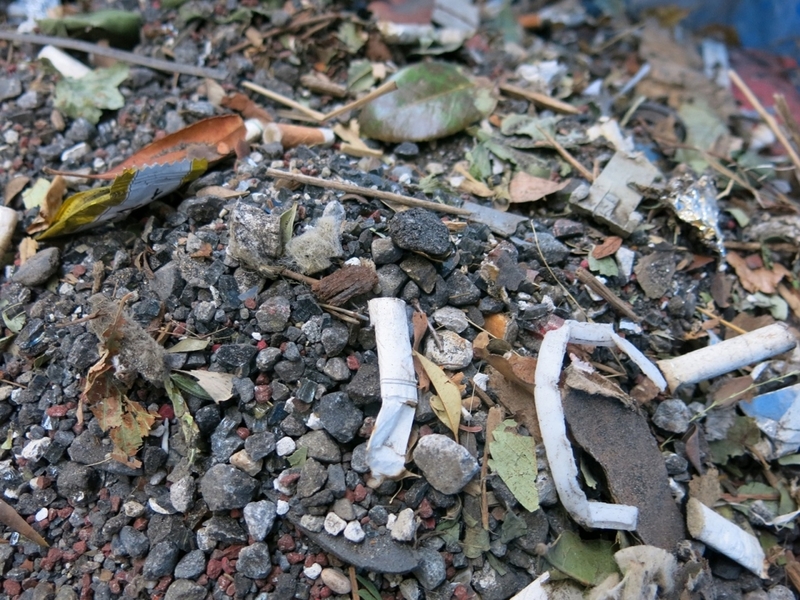 This paper is about the toxicity of road dust deposited on road surface to a benthic organisms. 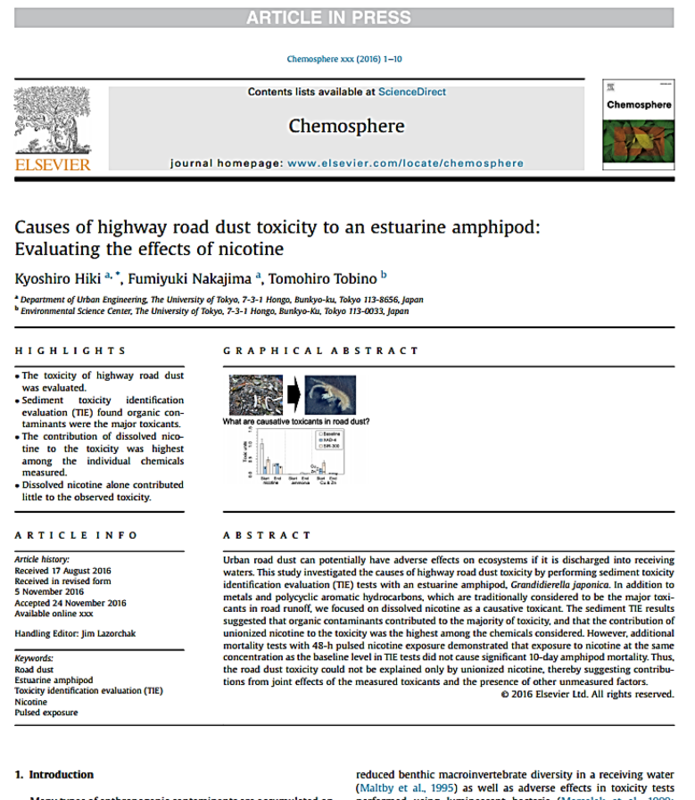 In this paper, we analyzed metals and nicotine as causative toxicants in road dust. Here is a slide for an oral presentation in the domestic conference held in Ehime University. The contents of this slide were similar to that of the paper.